“Dictatorships need lies and violence in order to maintain the coercion and fear upon which they depend . . . . To refuse to lie in day-to-day public life is the most powerful tool for breaking down a tyranny built on mendacity.” Liu Xiaobo, No Enemies, No Hatred: Selected Essays and Poems. When the Norwegian Nobel Prize Committee awarded the Nobel Peace Prize to the Chinese dissident Liu Xiaobo on December 10, 2010, he had already served one year of an eleven-year sentence at Jinzhou Prison for “incitement of subversion of state power.” The Chinese authorities were furious that the Norwegians had awarded Liu – a “convicted criminal” – such a prestigious prize. They suppressed celebrations inside China, warned foreign diplomats not to attend, and broke off trade relations with Norway. They also barred Liu’s wife Liu Xia and family and friends from attending the ceremony, where the Nobel Committee had placed the prize medal box and certificate on an empty, high-backed chair on the stage. A large portrait of Liu stood in his stead. He was the first Chinese person living in Mainland China to be awarded the Nobel Peace Prize, and the second laureate of the Prize to die in prison. In 2012 Perry Link et al. published No Enemies, No Hatred: Selected Essays and Poems, the first English translation of Liu Xiaobo’s collective writings. Liu had completed two years of his eleven-year sentence; this was not his first detention in a Chinese jail, but it was the longest. * Sending him to Jinzhou, the authorities believed they could at minimum get rid of this dangerous “thorn in their side” and hope that he would be forgotten, never to speak another public word. He was already sick with chronic hepatitis. Did the authorities suspect this fourth incarceration would be a death sentence? Indeed, on July 13, 2017, Liu Xiaobo died of late-stage liver cancer in the prison ward at China Medical University in Shenyang, China, four years before his release. The authorities had rejected his request for permission to go abroad for medical treatment. Liu Xiaobo, China’s most famous dissident, was forever silenced. In spring 1989 when the pro-democracy movement began to coalesce in Tiananmen Square, Liu was a visiting scholar at Columbia University in New York City. He felt an urgent need to return to Beijing to participate in what he sensed was a timely moment to demand of the Chinese government economic reform, freedom of the press, and political liberalization. On June 2, Liu and three friends staged a hunger strike to show solidarity with the protestors, but the strike was eclipsed on June 3 when military tanks entered the Square and killed whoever was in their way—indiscriminately and brutally. Liu and his friends negotiated a path for the protestors to leave the Square peacefully, saving hundreds of lives, but Liu himself sought refuge in a foreign diplomatic quarter, an act that caused him deep remorse and shame. He was haunted by these “souls of the dead” for the rest of his life. 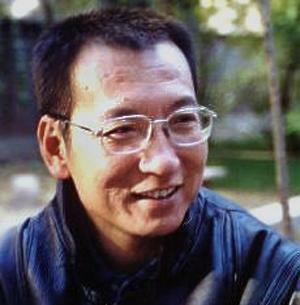 Although the government’s intention was to silence him, Liu Xiaobo continued to write essays and criticism throughout the 1990s and 2000s, offending the party elite and anyone else who hewed to the party’s dogma. He saw clearly that one-party rule made freedom of conscience inconceivable. Because his writings were banned, they were spirited out of the country and disseminated in Taiwan; in magazines in Hong Kong such as The Open Magazine and Cheng Ming Monthly; and in U.S.-based magazines such as Beijing Spring and Democratic China. The Internet was a lifeline: His friends evaded the “Great Firewall” and sent him articles that China had censored. He was under continual surveillance and in 1995-96 under house arrest. In 1996, it appears that the government had had enough, and he was sent to a reeducation-through-labor camp in Dalian for three years. His offense: signing a statement questioning the legitimacy of the government of the People’s Republic of China in its relationship with Taiwan. This was his third incarceration. In late 2008, Liu signed Charter ’08, a citizen’s manifesto to return power to the citizenry through a constitutional government, and he solicited hundreds of signatories, agreeing in the last days before it was announced to be its leading sponsor. Charter ’08 was everything the Chinese government did not champion: freedom, equality, and human rights within the framework of a democratic and constitutional government. The ideals of humanism, nonviolence, and freedom of conscience pervaded the document. Although it was not a petition to the government and confrontational language was excised at the behest of Liu, the essence of Charter ’08 was simple: Create a democratic system that upends Communist Party rule. It was signed by 12,000 people. As the leading sponsor of Charter ’08, Liu was the government’s target. Arrested on December 8, 2008, he spent six months under police surveillance; formally arrested on June 23, 2009; and held for six months in Beijing No. 1 Detention Center until his trial on December 2009. He was found guilty of incitement of subversion of state power on December 25, 2009, and sentenced to eleven years in Jinzhou prison. This was his final incarceration and his death sentence. The Chinese government removed him from society, and even on his deathbed prohibited him from speaking his mind one last time. Upon his death, the government has blocked any mention of his name on Chinese social media, thus conclusively stanching any outpouring of grief and support. After Liu Xiaobo won the Nobel Peace Prize in 2010, I followed the news about him—this dissident public intellectual who had given the Chinese government a major headache. Having read many books about nonviolent thought and action, I sensed that Liu Xiaobo’s life and writing could deepen my understanding further: He believed that words followed by action could change the direction of a country. When No Enemies, No Hatred was published, I immersed myself in Liu’s essays and wrote a longform review for bookscover2cover.com. When he died in July, the world had lost a deeply profound soul. He was a person of great moral courage whose government tried to control him but, like most autocratic governments, the most permanent solution was to make him disappear. I wanted to write about Liu’s moral courage and nonviolence as he confronted an insufferable power over his life. I read in memoriam articles—none, of course, would be published in China—and returned to No Enemies, No Hatred to see what I had missed when I wrote the review. Perhaps it was inevitable that I would miss the essence of the man himself, given that No Enemies, No Hatred was my first encounter with his writing. In hindsight I realized that I hadn’t understood the depth of his conviction in the dignity of the individual and the right to the freedom of one’s conscience. Liu could not abide a tyranny of the mind. How could he? “Literary inquisition” was anathema to him. Perhaps it was inevitable that I would miss the essence of the man himself, given that No Enemies, No Hatred was my first encounter with his writing. In hindsight I realized that I hadn’t understood the depth of his conviction in the dignity of the individual and the right to the freedom of one’s conscience. Aware of the incompleteness of the individual person, Liu saw freedom of conscience as a specifically human need to grapple with this existential dilemma. He fought nonviolently against tyranny over the mind—whatever its source—and for a humane and just political system. His death has been a huge loss for human rights. *Liu Xiaobo was detained for eighteen months on June 6, 1989, three days after the massacre in Tiananmen Square. In May 1995, he was detained for seven months ostensibly for releasing a petition for the rule of law, on the sixth anniversary of Tiananmen. On October 8, 1996, he was sent to a reeducation-through-labor camp in Dalian for three years. According to Link, he seemed “to have found his deepest faith in the concept of ‘human dignity’” during this incarceration. The fourth and final time was soon after the publication of Charter 08. The police held him in detention for six months then formally arrested him on June 23, 2009, charging him with “incitement of subversion of state power.” He was held at the Beijing Number 1 Detention Center until his trial in December 2009. On May 24, 2010, he was transferred to Jinzhou Prison where he remained until he was transferred to the prison ward at the Medical University in Shenyang where he died. Perry Link, Tienchi Martin-Liao, & Liu Xia, Eds. Liu Xiaobo, No Enemies, No Hatred: Selected Essays and Poems. Massachusetts: Harvard University Press, 2012, pp. xiii-xxi, 322, 301, 315, 117, 118, 123, 294. Chris Buckley, “Liu Xiabo Dies at 61; Dissident Won Nobel While Jailed in China,” The New York Times, July 14, 2017, pp. A1, A9. Thank you for your comment, Ronne. I appreciate your desire to read this long review. After I read Link’s translation of Liu Xiaobo’s work in 2013, I thought about him a lot. After his death last July, I read many of the articles about him and saw the quote about “the incompleteness of the individual.” I went back to one of the essays in the Link translation and found the essay. This is when I began to wonder if I had missed the essence of him. I wrote this essay to understand more deeply what he could have meant by this phrase. He recognized his own incompleteness, and yet living under constant surveillance he didn’t bend under the government’s incessant control over him. Yes, we are flawed creatures, we human beings, but isn’t this what the existential struggle is about? In spite of our incompleteness, we make great efforts to complete ourselves in spite of the human condition.